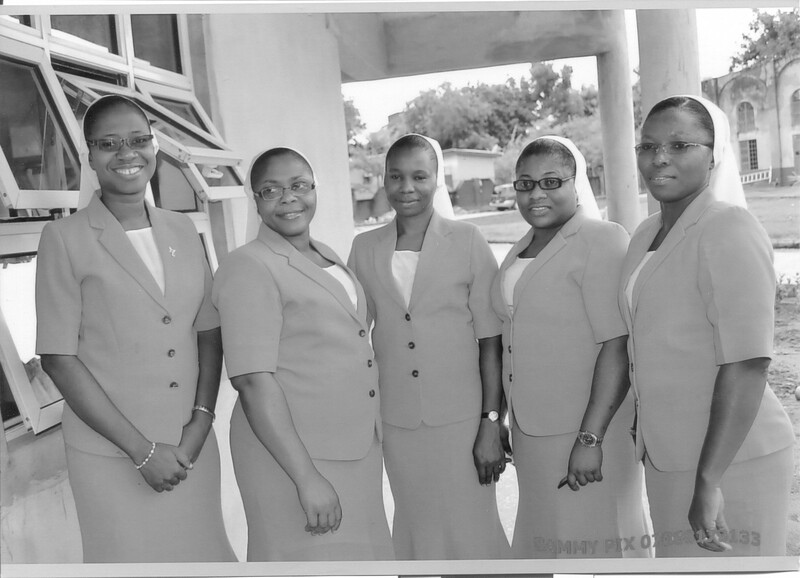 Five HVM Sisters took first vows to God in ceremonies at St. Paul Parish Church in Gwagwalada, Nigeria, in August 2014. John Cardinal Onaiyekan, Archbishop of Abuja, celebrated the Eucharist. Sr. Barbara Dakoske, HVM, received their vow commitments as Home Visitor administrator. Sr. Winifred acted as commentator during the ceremony. Above, Sr. Margaret Opara professes her vows to God. 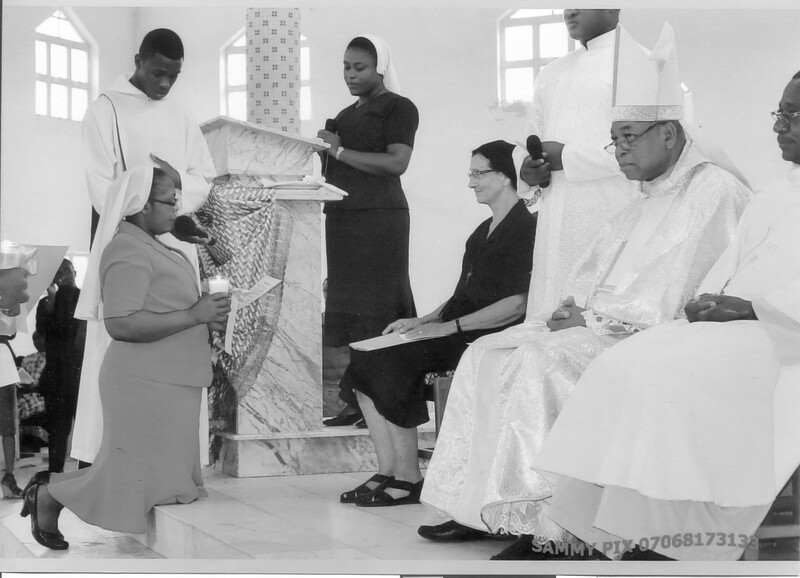 Left to right : Sr. Margaret Opara (kneeling), Sr. Winefred (standing at the pulpit), commentated on the vow rite, Sr. Barbara Dakoske (seated), Administrator of SHVM Nigeria, John Cardinal Oneiyekan (seated), Archbishop of Abuja. 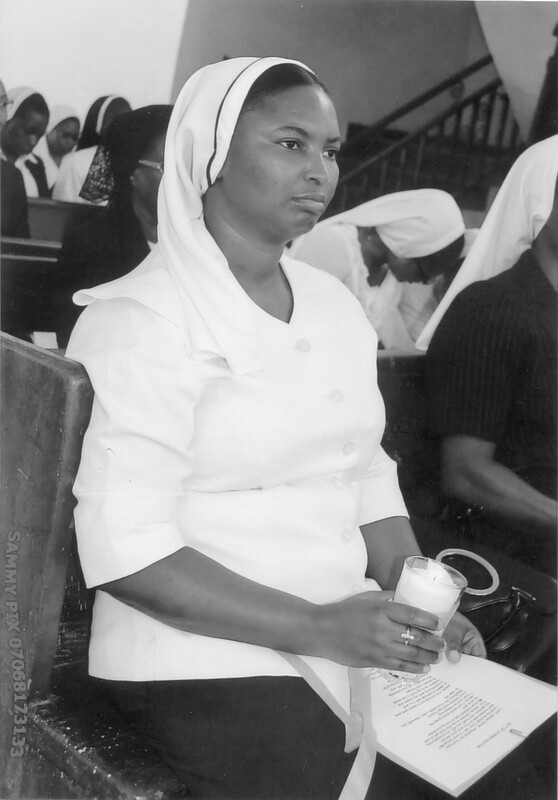 Above: Sister Monica entered the HVM Novitiate. As a Novice, she wears a veil with blue trim. She received a cross and here religious name: Sr. Monica Etokudoh. Above. Home Visitors living at Pastoral Formation Center in Gwagwalada. 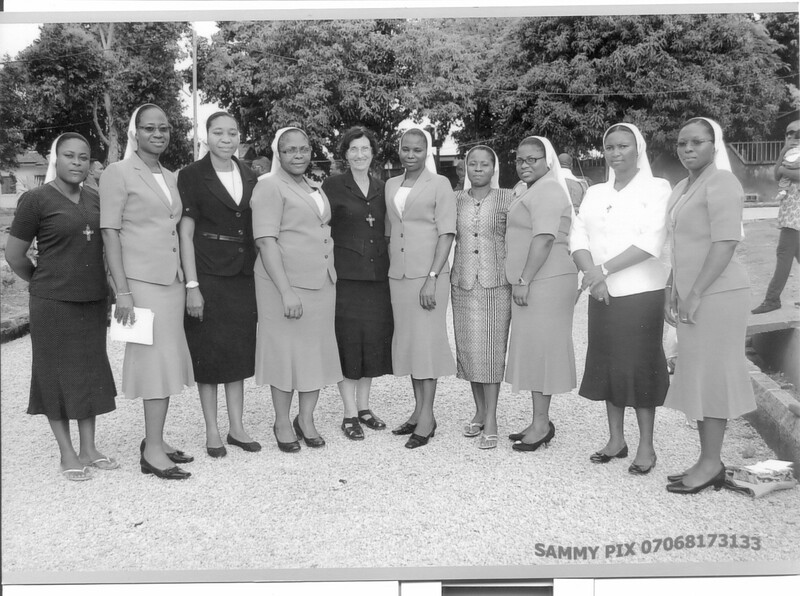 Left to right: Sr. Winifred Umoh, Sr Jane Nwachukwu, Sr. Clare Emeroum, Sr. Margaret Opara, Sr. Barbara Dakoske, Sr. Patience Usoboh, Sr. Ndifreke Asuquo, Sr. Anne Abioye, Sr. Monica Etokukoh, Sr. Juliana Umoren. Above. Children dancers from Mater Dei at the vow celebration. 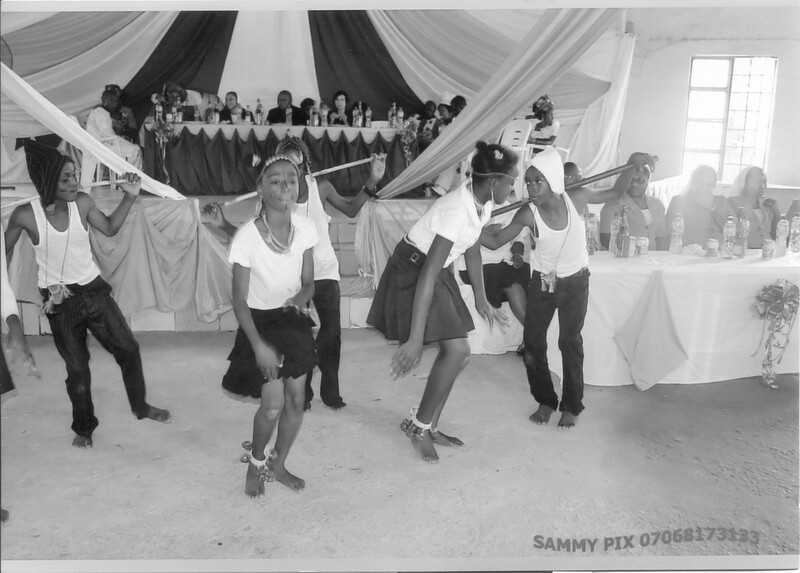 The young dancers were prepared by Sr. Ndifreke. 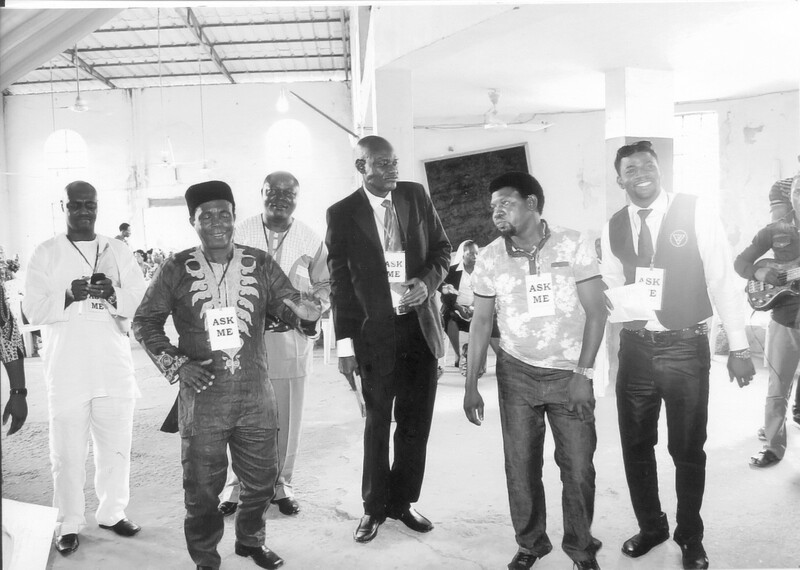 The chairman of the occasion and the parents of the newly professed were at the head table. The five sisters who made their first vows are at the table to the right. Above: Adult men committee members called to dance during the reception. Most of the women were busy in the kitchen preparing to serve food at the time this picture was taken. This entry was posted in Uncategorized on October 13, 2014 by shvmblog.